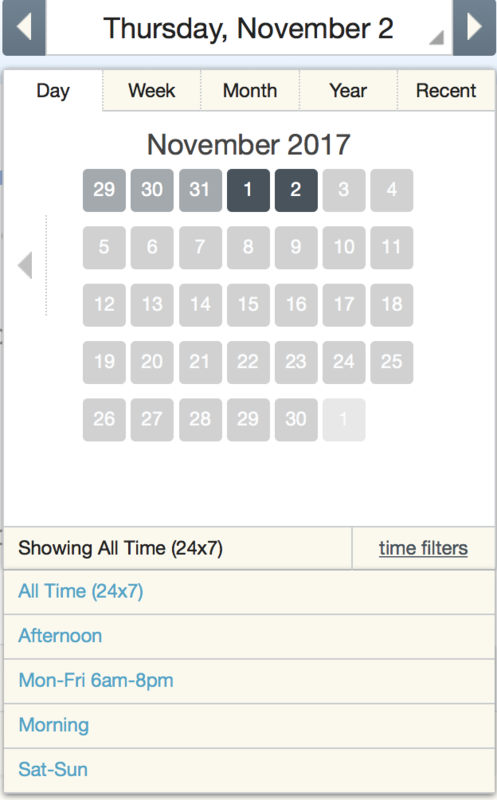 Advanced Filters is a feature available on Premium only. You can create custom timeframes to be used for screening report data, goals and alerts. 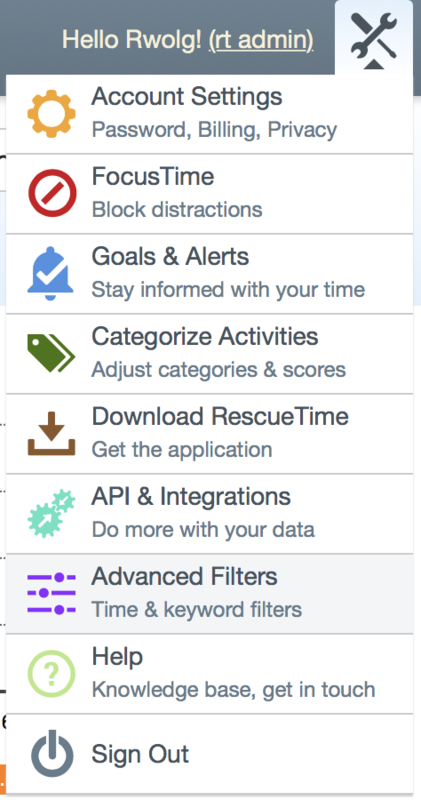 The Advanced Filters settings page is accessed from the Tools menu. 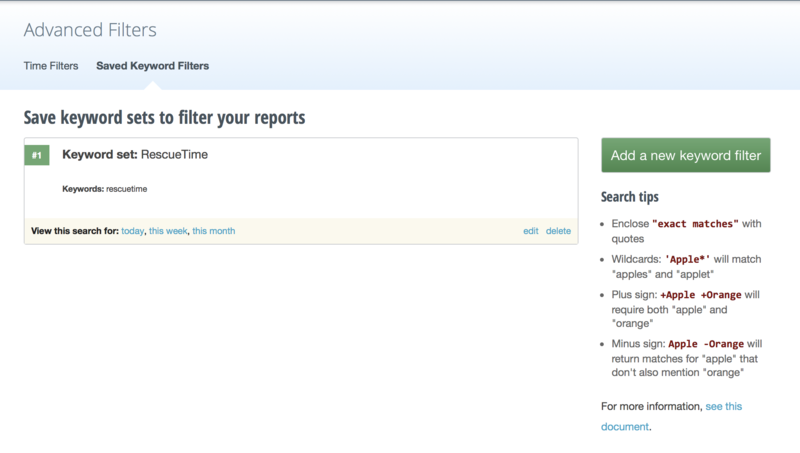 Once you have created a filter, it will be available in the date/time selector and the Goal & Alert creation dialogues. 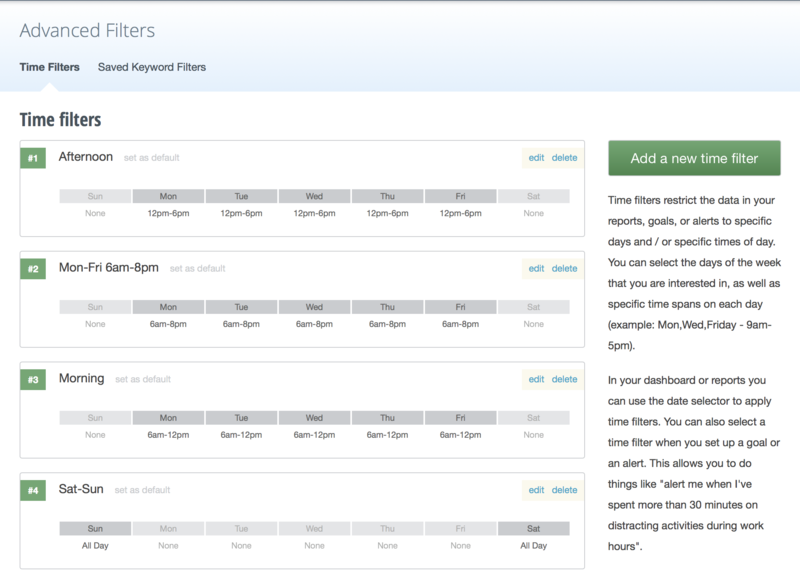 The "Saved Keyword Filters" tab on the Advanced Filters settings page lets you see the keyword filters you have created, and provides links to reports using those filters.